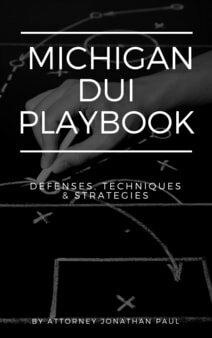 The most common sentence for a defendant in Michigan is a term of probation. For a misdemeanor, a defendant can receive up to 24 months, and for a felony it can be 60 months. There is reporting probation and non-reporting, and there are standard conditions of probation such as no alcohol, drugs, no new offenses, keep the probation officer updated on address changes, seek permission to leave the state among other conditions etc. All probation staffs are different; testing, requirements, meetings will vary by courthouse. Some probation officers will be more flexible with technical violations and allow the person to cure the issue, and not immediately issue a violation to the judge for a Show Cause hearing. Let's assume for the purposes of this writing that the defendant has violated probation, and the probation officer has submitted a violation; the court has set the matter for a Show Cause hearing or an immediate violation of probation hearing. As a former prosecutor, I was not updated on these violations. If the violations popped up on the docket, I would be dealing with limited information. As a prosecutor, the safest bet is always to argue against the defendant and his/her lawyer and try to uphold some false sense of justice that breaking a rule means someone should be punished. This certainly applies if its a misdemeanor violation and you're dealing with a young prosecutor. When a prosecutor doesn't know what to say, they surely aren't going to support the defendant's position or take on the case, but rather argue against it as a true opponent. I did the same when I was caught off guard by a judge who wanted to know what my position. 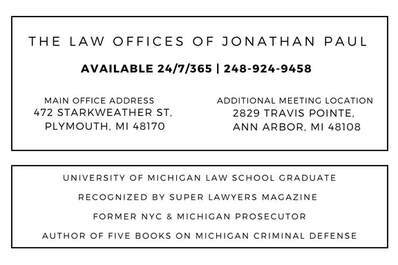 As a criminal defense attorney who helps clients with violations of probation, I took my past experience and make sure that I speak to the prosecutor beforehand and give them a heads up about the violation. If they were taken by surprise, I fully expect them to argue against me even if they don't really believe it or care. We come to court with something new. I don't let my client simply show on a VOP (violation of probation) and beg a judge to go easy on them; that's not doing my job, but that's what most other attorneys do. If it's an alcohol violation or a drug violation, well I am already getting my client on more frequent testing; if it's alcohol we are probably on a portable daily device already. Up the AA, jump into counseling etc. I punch my client right in the gut and "punish" them before the judge has a chance to do it. A client can handle my punch, but may not be able to handle going to jail, losing out on a great deal worked out on their case. You can lose HYTA, 7411, 771.1, MIP first offender, 769.4A type programs for violating your probation. When we walk into court we can take a lot of wind out of the judge's sails by saying we're already taking steps to address the violation. Sure the judge may still put on a show, but what are they going to say? You shouldn't have stepped up in a big way to address it yourself? We can usually pause, reflect and buy some time. If we can get a judge to back off taking action, that's a big win. If my client still has months to go on probation, why not accept what we've done already and see how the client does on the "new" plan - you always need a shiny new toy when you go see the judge. It really depends on the original charge and the violation, but there's a major opportunity to turn a losing hand into a survival situation where you're back on your feet. If you explain to the prosecutor what's going on, show them the steps you've taken to address the violation, it's very possible to turn them into a neutral party rather than an opponent. It's even possible to have the prosecutor back your steps and tell the judge the same. If both the defendant and prosecutor both want the judge to put their sword down and give more, delay a decision, back off, the judge is more likely to buy into the plan. It's so important to try to build consensus with the prosecutor. Great to say "your honor, the prosecutor and myself had a very positive conversation on this matter, and it sounds like they are open to X or in agreement with X.